Today we have a very exciting guest blogger! 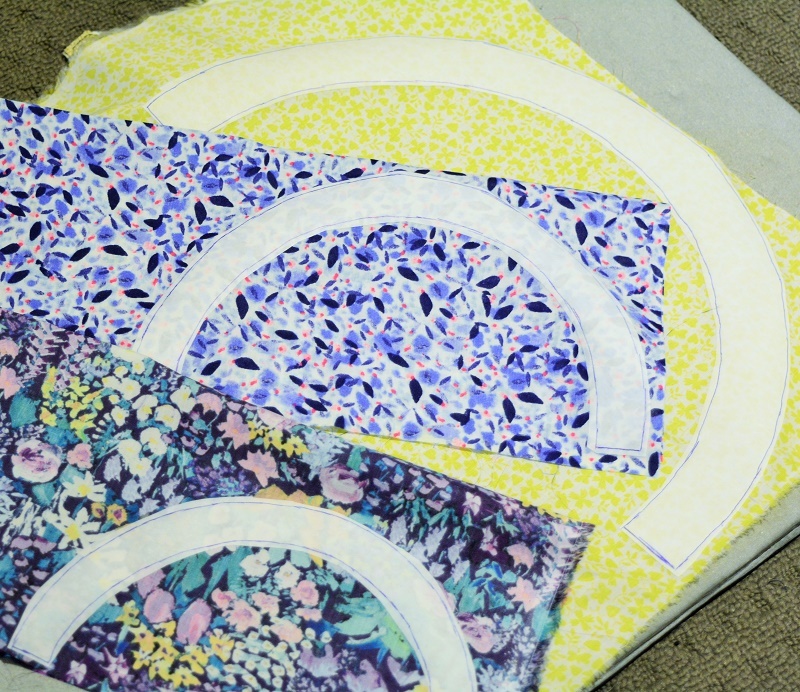 Mandy Murray is here to share her tutorial for making a Liberty Rainbow Cushion. 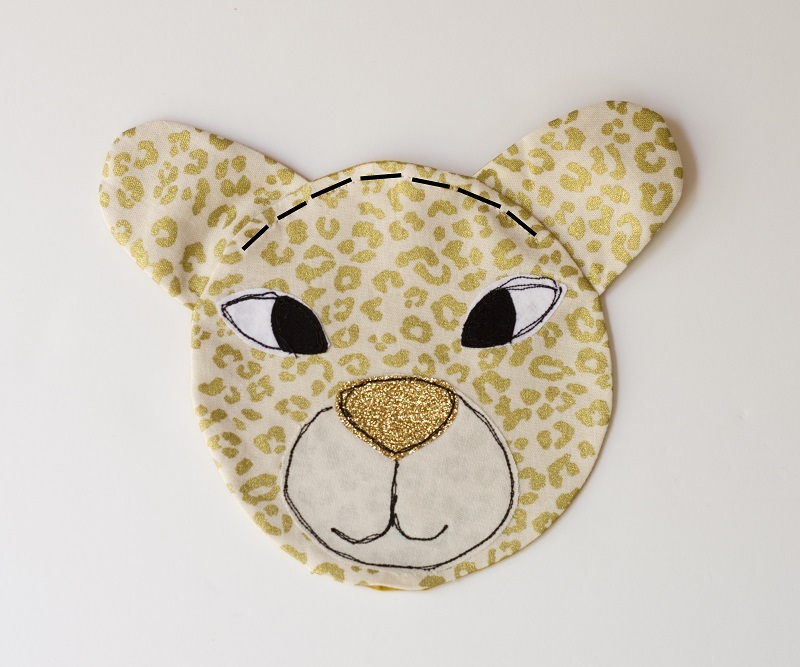 Mandy Murray aims to inspire the younger generation to sew with fun and quirky designs! Working for Blessington, which is a major distributor of sewing machines and accessories, including notable brands Singer, Husqvarna Viking, PFAFF, Handi Quilter and AccuQuilt. 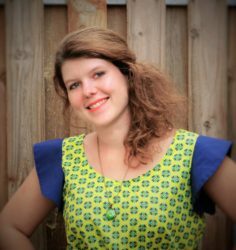 She fulfils a career creating unique and innovative projects to share with and inspire others to sew! 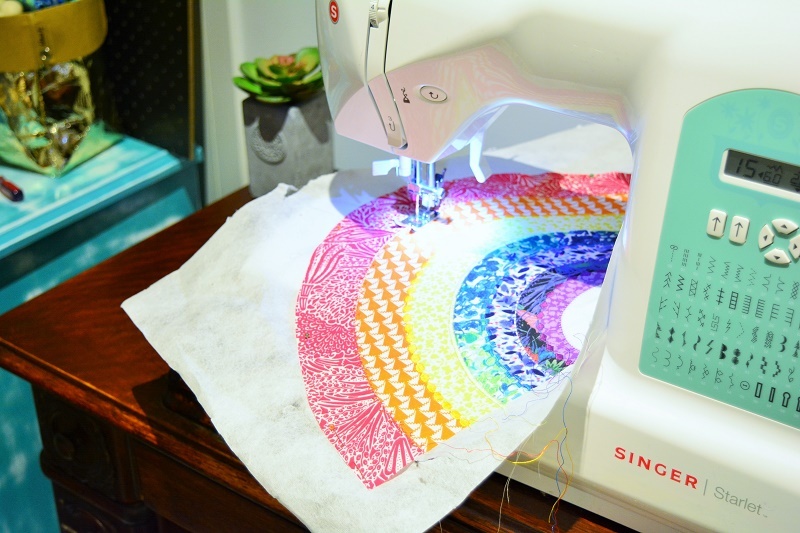 Mandy created this super cute Liberty Rainbow Cushion on a Singer sewing machine. From home décor and clothing construction, to embroidery and quilting, Singer is dedicated to helping people express their creativity! 1. 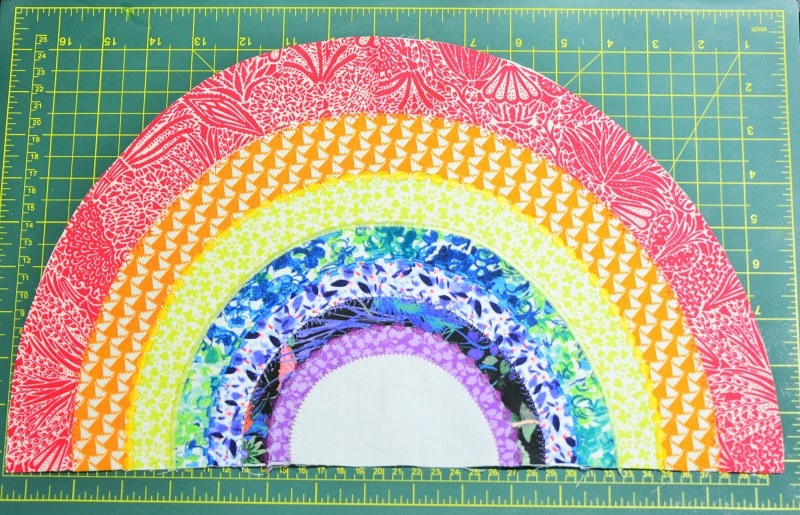 The technique used to construct the rainbow is basic fusible appliqué. 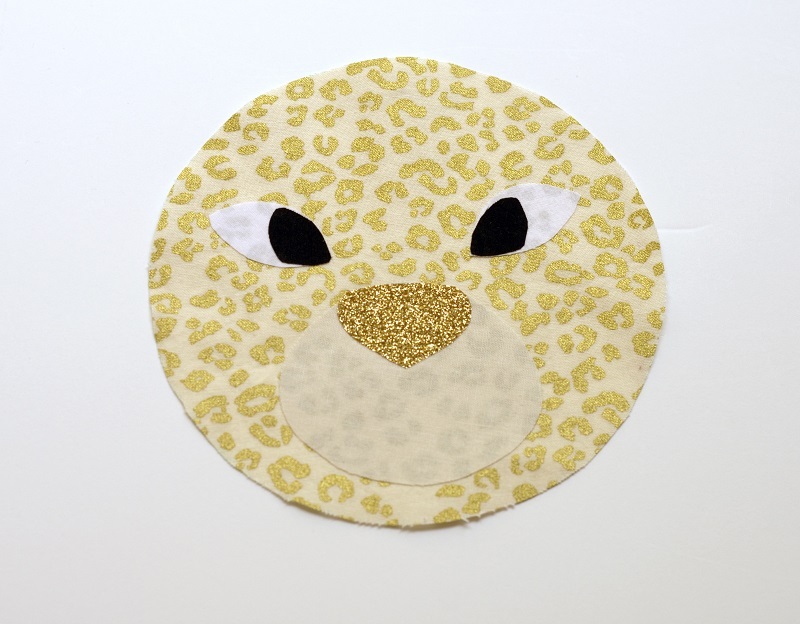 Trace the appliqué pieces onto the paper side of the fusible web. 2. Cut around the outside of the shapes approximately ¼” from the line. 3. 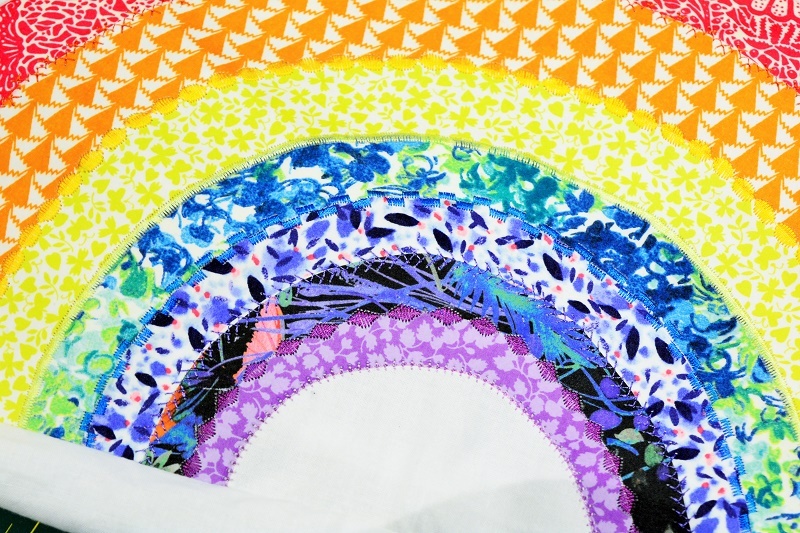 Iron these shapes onto the wrong side of the rainbow fabrics (refer to diagram 1). 4. Cut each shape out along the line. 5. Lay (1) front pattern piece onto an ironing board (right side facing up). 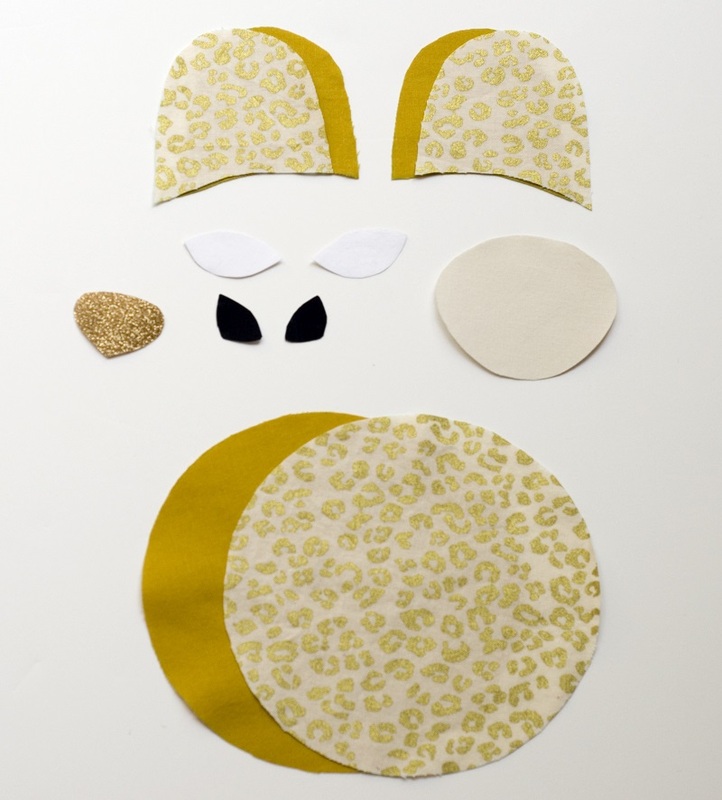 Remove the paper backing from each of the appliqué pieces and position on top of the front pattern piece (refer to diagram 2). 6. Place a piece of tear away behind the rainbow. 7. Thread your machine with co-ordinating thread and select different decorative stitches. 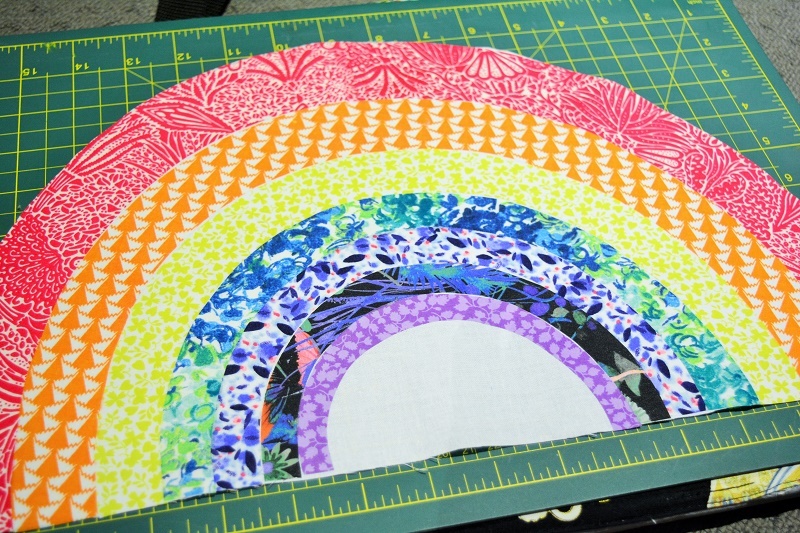 Sew down the middle where each colour of the rainbow joins (refer to diagram 3 & 4). 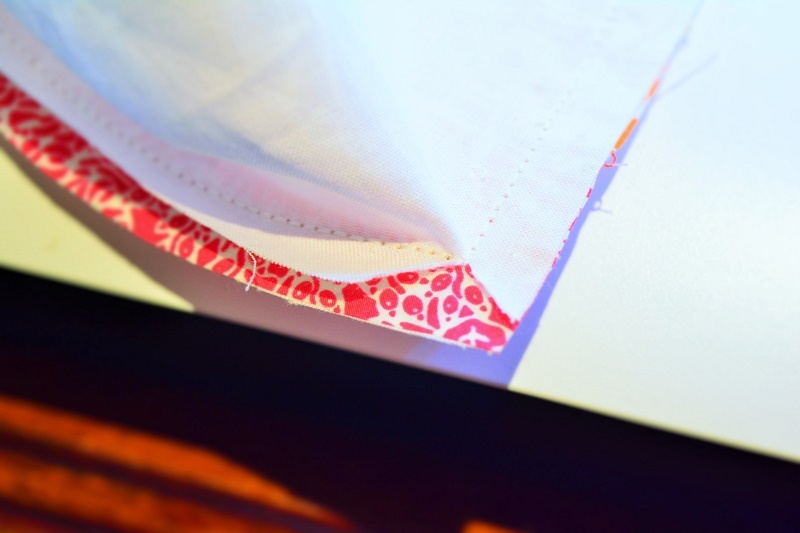 Satin style decorative stitches work best for covering the raw edges! Note: There is no need to stitch around the outer red section of the rainbow as this will be in the seam allowance once sewn together! 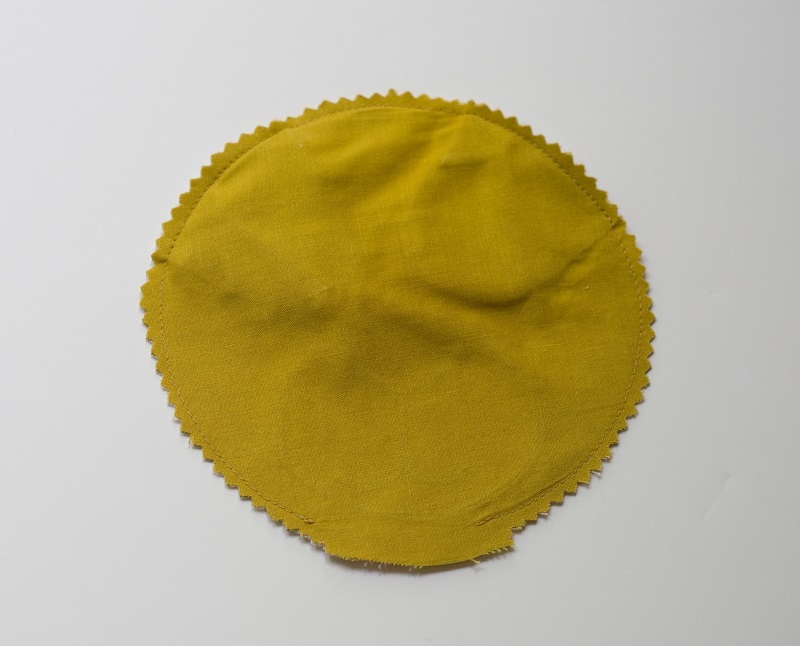 8.Gently remove the tear away from the back and trim threads (refer to diagram 5). 9. Mark the centre base of the rainbow and pin the rectangle at this point (right sides together). Note: Leave a half inch seam allowance to join the short ends later. 10. 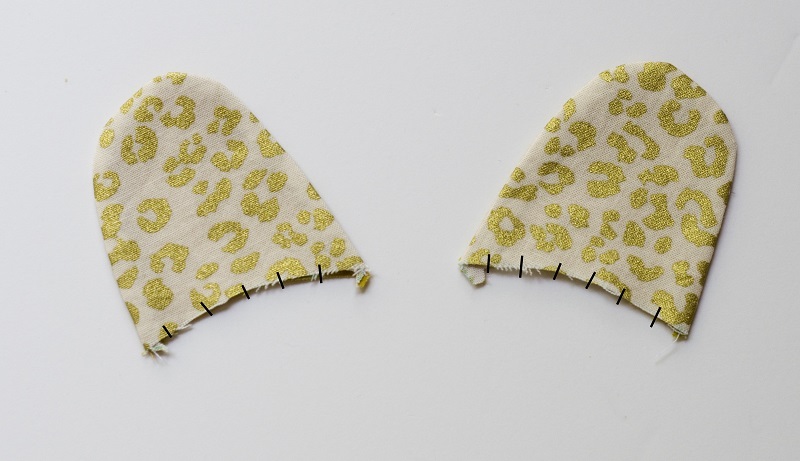 Start sewing using a 2mm triple stitch with a 3/8” seam allowance. Note: Stop approximately 3/8” from the corners (ensure your needle is down) and cut a slit in the rectangle. Pivot to continue sewing around the rainbow (refer to diagram 6). 11. Once you have sewn back to the centre point, match the short ends of the rectangle and sew together creating a complete tube. Press the seam open. 12. Mark the centre base of the back pattern piece and match up with the seam of the rectangle. Pin and begin sewing as per step 9, however leave a 3” gap in the base. 13. Clip the curves and turn the right way out through the hole you left at the bottom. 14. 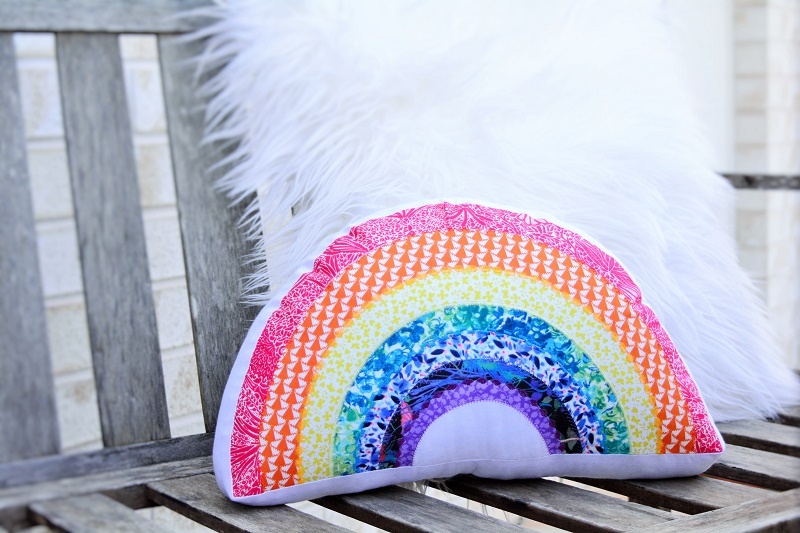 Stuff your rainbow cushion firmly and then hand sew the hole closed. 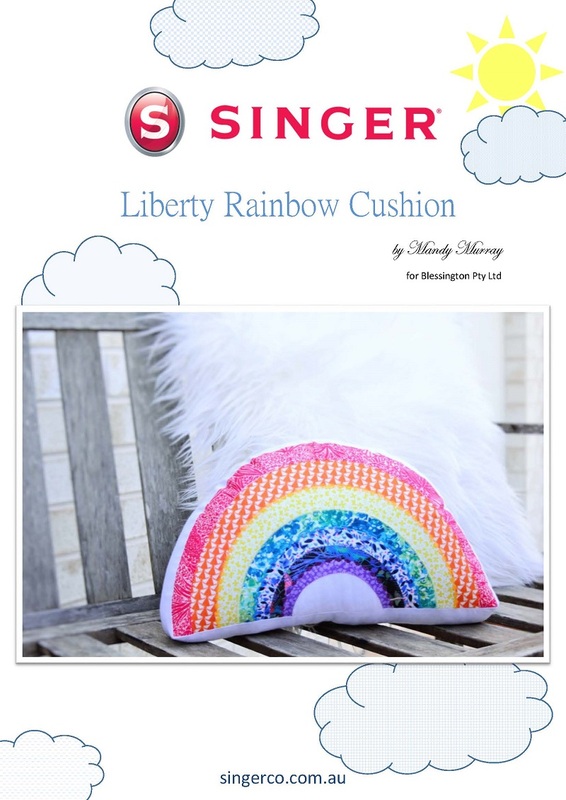 Congratulations on finishing your Liberty Rainbow Cushion! Hi there! This is Valerie from Élégantine! 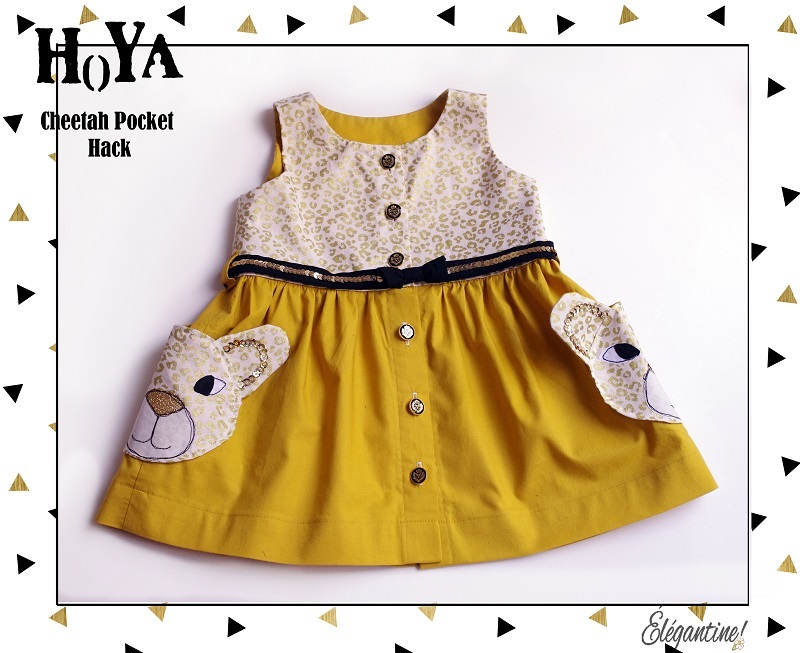 and I am here today to share with you how I hacked the patch pocket of the Hoya dress from Issue 11 into a cheetah pocket! I originally sewed this dress while testing the pattern last February, when winter was at its peak in Canada! Can you tell that I was dreaming of summer? 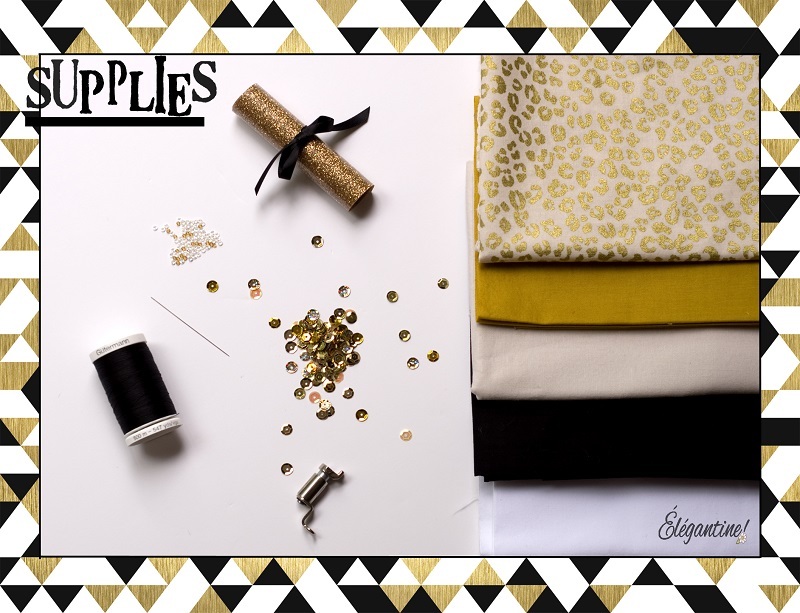 Gold fabrics, gold buttons, glitter gold heat transfer and gold sequins! The oversize patch pocket of the design was the perfect scale for a little applique fun. I did cheetah pockets on this dress, but really, the possibilities are infinite! Fabrics and Supplies: These are the fabrics that I used, but you could substitute all the fabrics to create something completely different and just as fun! Heat n’ Bond Light (or a sewable spray adhesive such as 505. If you decide not to use Heat n’ Bond Light, you will need to put Fray Check to keep the raw edges from fraying). Thread! Basically, free motion sewing is like drawing with thread on a piece of fabric. 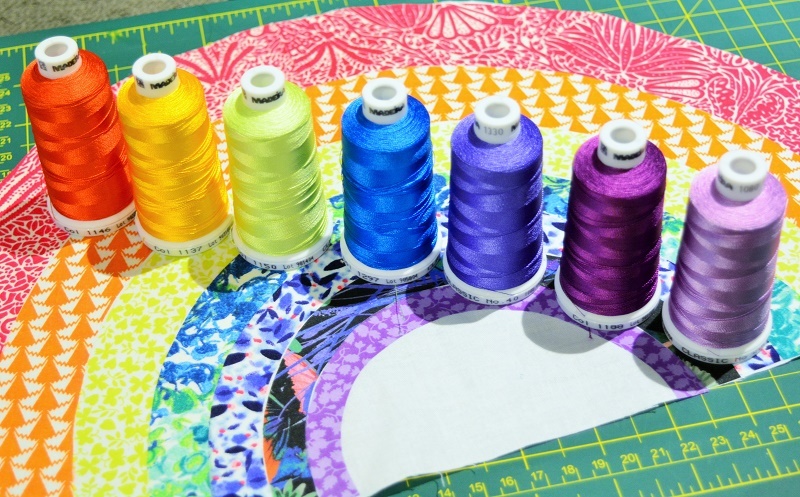 You will want to choose a color of thread that won’t get lost in the details. Black is the most common used thread color because it resembles a real drawing. Cheetah print Fabric: I used Cheetah Gold Standard/ Simply Sterling designed by Maria Kalinoieski for Kanvas with ©Bernatex, but any cheetah print will do. Nose: a scrap of Glitter Iron-on (I used Cricut, but any glitter heat transfer material will do). 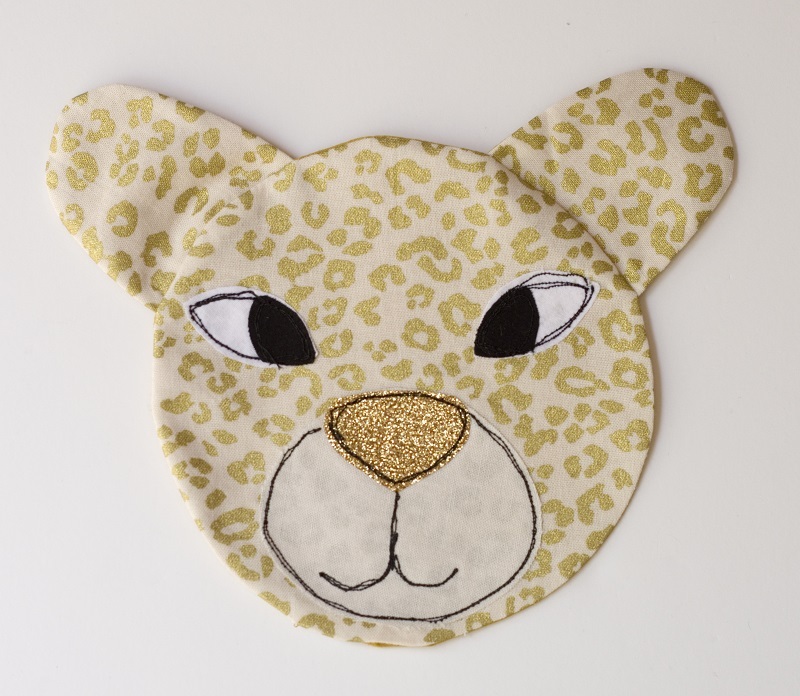 Alternately, you could also use a piece of fabric for the nose applique. 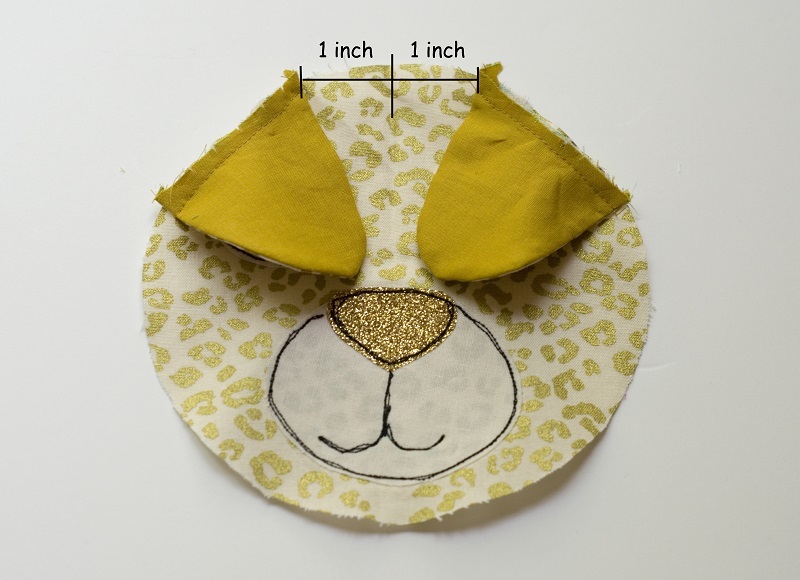 The pocket pattern pieces (head and ear) include a ¼ inch seam allowance. 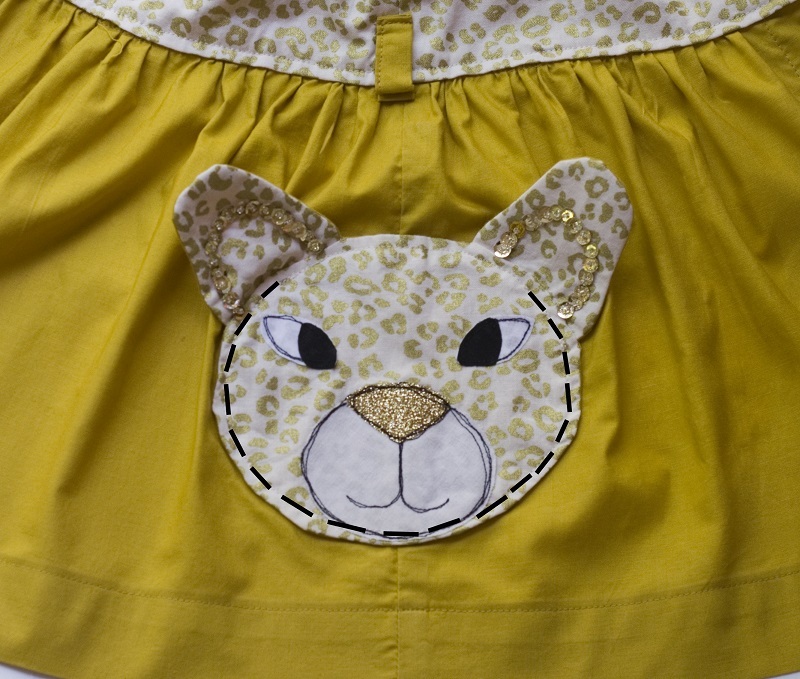 The applique templates don’t include a seam allowance and are intended that way. 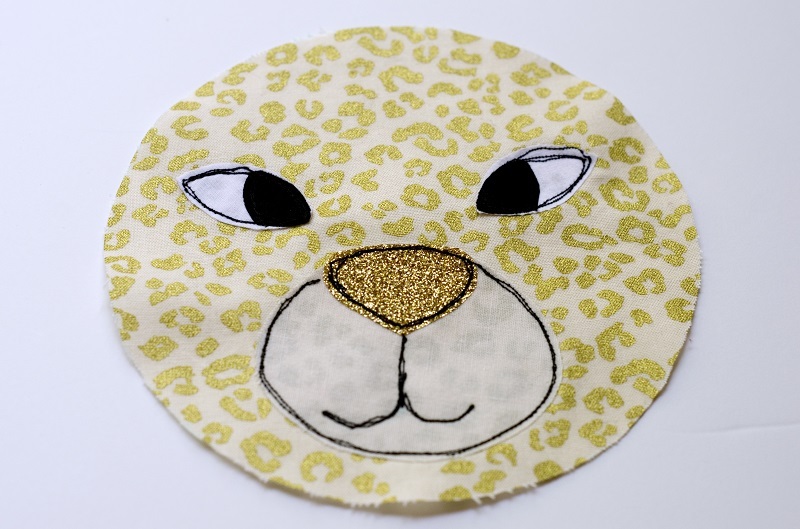 Step 1: Iron all the appliques on the main fabric pocket piece to create a Cheetah Face. Alternatively, you could use a sewable spray adhesive. Step2. 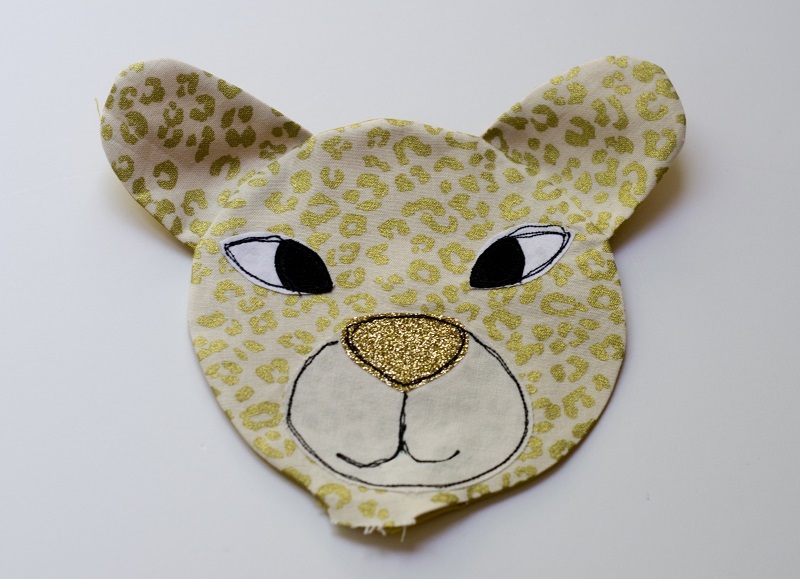 Transfer the mouth detail on the face with an erasable fabric marker or chalk. Free motion sew on all the inner details and inner outlines making sure to leave an ¼ inch blank space all around for the seam allowance. Step 3. 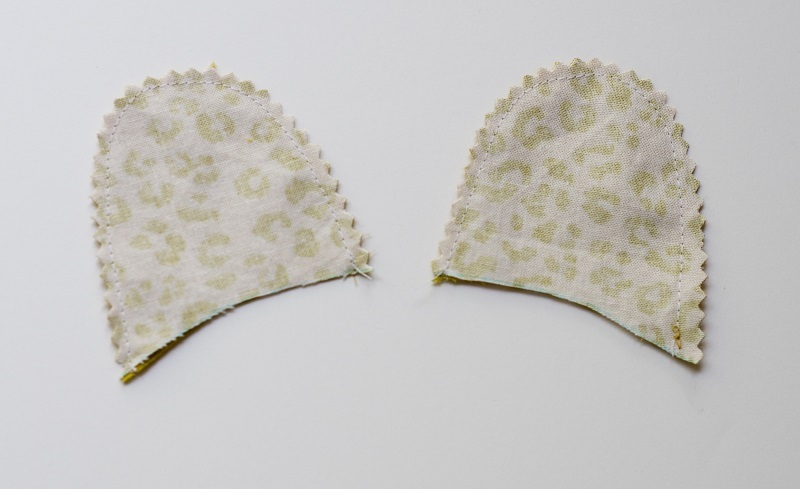 Pin both pairs of ears with the ears lining right sides together and stitch using a ¼ seam allowance. Clip the curve use pinking shears all around the ears. Step 4. Turn right side out and press. Step 5. Make a little snip of about 1/8” long on the raw edges of the ears. This will help match the curve of the rounded pocket and the ears will lay flat once the pocket is assembled. Step 6. Fold the pocket piece in half and press to mark the center. On the top of the head, 1 inch from each side of the crease, align the raw edges of the ears right side to right side with the head. Spread the ears following the curve on the head using the little snips at the base of the ears. Stitch using a ¼ seam allowance. Step 7. Place the pocket lining on top, right side to right side, and stitch all around leaving a 1.5 inch gap in the bottom to turn it the right way out. Step 8. Clip into the seam allowance all around the pocket (leaving the unstitched part unclipped) or use pinking shears. Step 9. Turn the pocket right side out. Step 10. Fold the 1.5 inch opening inside following the curve of the pocket and press. Step 11. Topstitch the top of the pocket starting in the middle of an ear to the middle of the other one. Step 12. 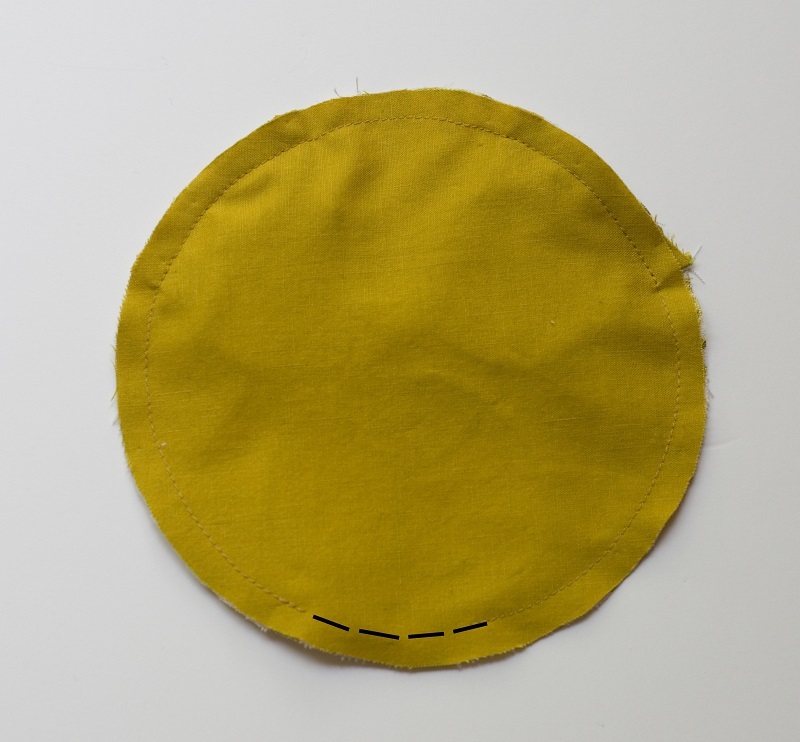 Pin the head on the side seam of the skirt and finish topstitching all around the pocket. Step 13. Sequins: Starting at the base of an ear, pull your thread through the back, sew on a sequin from the back, through a seed bead, back into the sequin and into the fabric. The seed bead will hold the sequin in place on the ear. 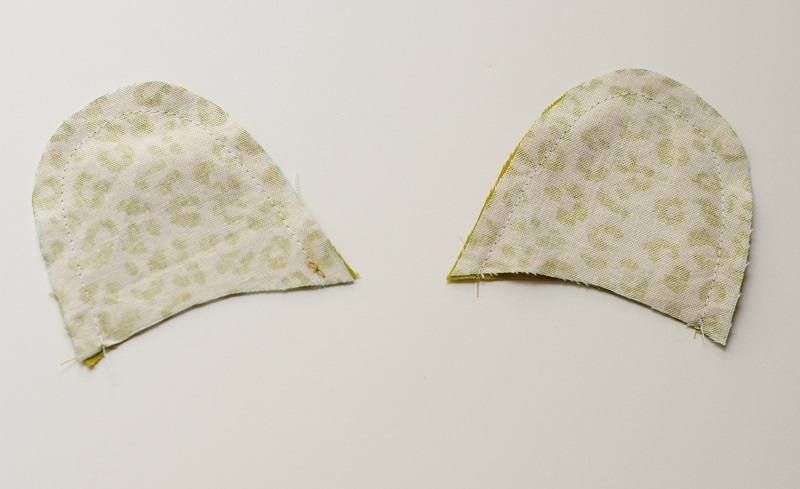 Continue to sew sequins every ¼ inch this way all around the ear. Note: Step 12 shows a photo of the pocket with the sequins already sewn on. But the sequins were sewed after topstitching. I did not sew a complete new garment for this tutorial since the dress still fits my daughter perfectly! I used the finished garment for some photos. Sequins are of course optional, but they add a little glam to the garment that my kid loves… and let’s face it, I love it too! !